You'll be £12.99 closer to your next £10.00 credit when you purchase They Have Their Exits. What's this? THEY HAVE THEIR EXITS stands in the premier division of military memoirs, and not just of the Second World War. Not only were Airey Neave's wartime experiences of an extraordinary breadth, but he had the literary ability to record them. Wounded and captured at Calais in May 1940, Second Lieutenant Neave wasted little time before attempting to escape. 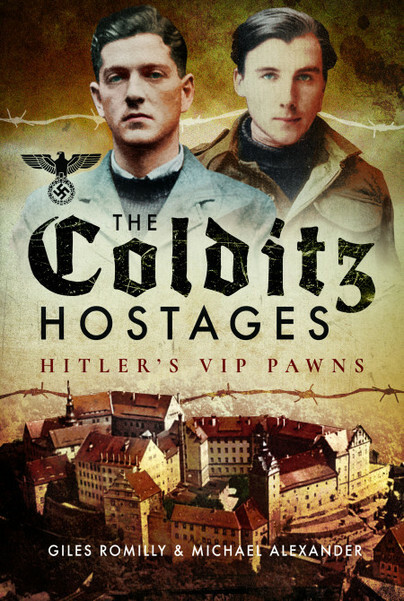 Always a thorn in his captors' sides, he earned his place in the 'escape-proof' Colditz Castle. Undeterred he had the distinction of being the first British officer to make a home-run, via Switzerland, Vichy France and Spain. Soon back in France working with the French Resistance as a member of MI9, rescuing Allied airmen, he found himself playing a leading role saving stranded survivors of 1st Airborne Division at Arnhem. 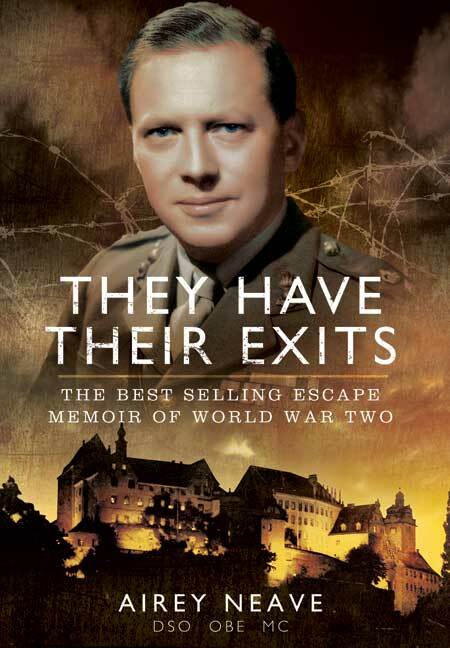 Neave's extraordinary memoir continues even after Germany's surrender. Having arrested the directors of the mighty Krupp empire, he served with the Nuremburg War Crimes Tribunal where he came into personal contact with leading Nazis, gaining a unique insight into their characters and deeds. If ever there was a great and true story well told, it is They Have Their Exits. Reprinted once again it is a fitting memorial to a man of exceptional energy, initiative and courage. The book itself reads very much like a thriller novel and immediately draws you in... They Have Their Exits is definitely worth reading, and reading over and over again. This is one of the best escape memoirs to emerge from the Second World War, combining the adventure story of most with a deeper examination of the mental impact of captivity and escape, and the stresses and risks all the way along the escape routes. I first read ‘’They Have Their Exits’’ in the late 1970s when I was about 11. It was an old yellowing, fragile 1950s paperback copy bought cheaply from the church jumble sale. The man himself was still alive then, although as a young boy I didn’t really know who he was. It was a shock a few months later to hear on the TV news about his murder in a car-bomb attack. In recent years I kept meaning to re-read the book which surely has to be one of the most famous of all WW2 escape stories. The latest paperback edition arrived and am happy to say it up to the usual high production standards of Pen & Sword. All in all an excellent read of one of the classic stories to come from WW2. According to the back cover all the royalties from this edition are being donated to ‘The Airey Neave Trust’ so that’s an even better reason to buy a copy.